"Time to go off the beaten track and find somewhere new to explore, a town not known for its ‎tourist attractions but for its natural untouched beauty. Kampot turned out to be just what we ‎were looking for. 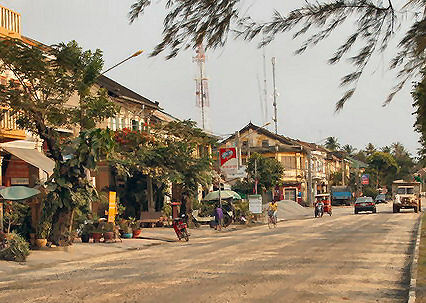 With the river Teuk Chhou meandering through the middle, the ‎quiet colonial-influenced town offered the perfect retreat from the westernized culture so many ‎Cambodian towns seem to strive to create. 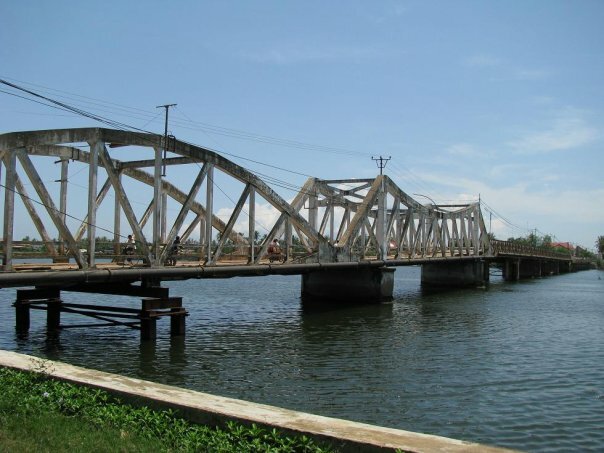 Kampot province is located south of Phnom Penh on the Gulf of Thailand. Approximately 55.000 people live in the province. The terrain is a varied mix, characterized by flatland regions used for agricultural production and hilly regions that are sparsely populated. The highest peak is Bokor at 1079 metres above sea level. Fishing and farming are the main activities; durians and melons grow in abundance here. 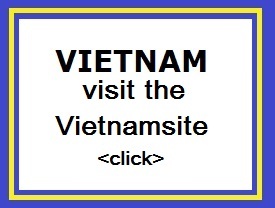 To the south end of town is a large dusty traffic circle with three hotels arrayed around it � Phnom Kieu, Phnom Kamchay, and Tuk Chhou. Each has its own restaurants; Tuk Chhou offers a seedy nightclub. Also on the circle is Prachummith Restaurant, cloBt. To the south near the river is the GPO and telecommunications building. At the north end of town, about 1.5 km away, is the Central Market, with food stalls. All Kampot transportation is concentrated within range of the market-cycle, motors, taxis, trucks, and buses. The railway station lies farther north. The old French market building has been recently restored and houses now a number of shops, cafes and restaurants. The bigger fresh market is at the other end of town. Although there are frequently tourists coming to Kampot, there are none of the notorious 'girl-bars' in here. The eastern bank of the Teuk Chhou River is paralleled meanwhile by a broad promenade with big, old casuarina trees and some figtrees. Most of the old buildings there are restored, including the old market as already mentioned, what was just six years ago still a rotten, dirty, half-abandoned place. Walking along the promenade one enjoys a great panorama view over the river towards the Elephant Mountains. The river provides a microclimate with a fresh breeze and, so far the wind is coming from southern directions (as normally between May and October, in south-west monsoon time), a fresh smell of sea air. Bordering Kampot's southern outskirts a Cham fisher village is placed at the river banks. The Chams have a certain historic relation to Malaya. Their fishing boats look quite similar as the boats in Malaysia. The fishing village is surrounded by remains of mangrove forests. Mangrove forests stretch over parts of the coastlines of Kampot Province, so far they are not destroyed already. There�s zero of interest in the town of Kampot except to walk around town and look at crumbling French-built blue-shuttered shop fronts. Previously Kampot was a stepping-stone to Bokor and Kep. The local people around are by a certain part Cham Muslims, but the majority is Khmer. 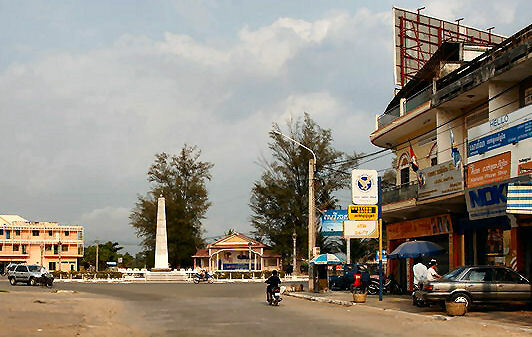 Particularly in Kampot town the Khmer dominate in number. In business Chinese and Vietnamese have their place as well. The Cham People seem to live more in the surrounding countryside. But there many things to do a in Kampot province. They are such as Bokor Hill Station, Kampong Trach Mountain, Kep Thmey, Phnom Chngok, Phnom Daung, Phnom Seda Orn, Preak Ampil and Teuk Chhou. Bokor Hill Station is located at 32-Kilometer distance from the provincial town of Kampot. It was founded by the French during the reign of the King Sisovath Before. Bokor was a leisure place for French colonists who needed an escape from the heat, humidity and general insalubrity of Phnom Penh. To Bokor Hill Station it takes 1,101 meters up from road 3 near Kampot. Kampong Trach Mountain is the rocky mountain with caves and the natural wells where arranged and worshipped by the tradition of the Cambodians. There is a natural well having 30-meter diameter and other small natural wells having four-meter stair and artistic stone look like animal. From these natural wells, there is a long cave that we you can visit. In front of the cave, there is a Cambodian pagoda, which has been now maintained by the pagoda committee. Kep Thmey is 8 km from Provincial Town of Kampot. Kep Thmey is one of the popular wildlife parks in Kampot. Kep Thmey is home to a large population of animals and birds. Here you can catch the wild animals in their natural habitats. The park is a haven to different kinds of animals like tigers, gibbons and birds like Chestnut headed Patridges, Orangeheaded Thrush and Plu Pitta. It is covered with various species of trees and plants. The other wildlife parks in and around Kampot are Phnom Chhnok, Phnom Seda Orn and the Phnom Daung. The Phnom Chhnok is nestled in Bos Trobek Village in Trorpeang Pring Commune in Kampot District. The Phnom Daung is located in Beoung Tapream Village in Treuy Koh Commune. While the Phnom Seda Orn is nestled in Ang Kor Village. The bus station in Kampot is downtown, a few streets from the riverfront. From the bus station, you can get a car, motorcycle or tuk tuk to continue your journey to Kep, another half hour to the East towards Vietnam. You can also rent a small motorcycle while in Kampot for $3 to $5 a day. Another dollar gets you enough gas for a round trip between Kampot and Kep. (and another dollar for touring around). Just make sure you're coming back through Kampot on your way out, so you can return the motorcycle. "So off we went up the Kampot River to the Chinese Dam. Neil brought a cooler with a lot of beer and that put us all in jolly mood. Douglas, the tree farmer, was quite an expert and lover of the trees of Cambodia. Collin, although blind (we had a Khmer boat driver), knew every turn in the river. Up the river and into the mountains until we get to the rapids before the Chinese Dam. Karen says that there are 100 (1000?) Chinese workers who run the dam and that the little Khmer town can get pretty roudy on Saturday night because "for the Chinese, drinking is a contact sport". Well anyway Collin now announces that the trip up the river was free but if we would like to come back with him it will be $30, then he breaks out a bottle of scotch and soon revises the price to $1 each that will go to the driver. Some of the homes along the river are quite large and Neil or someone called the owners the idle rich in contrast with them who are the idle poor. They all agreed rich or poor, the important thing is to be idle."